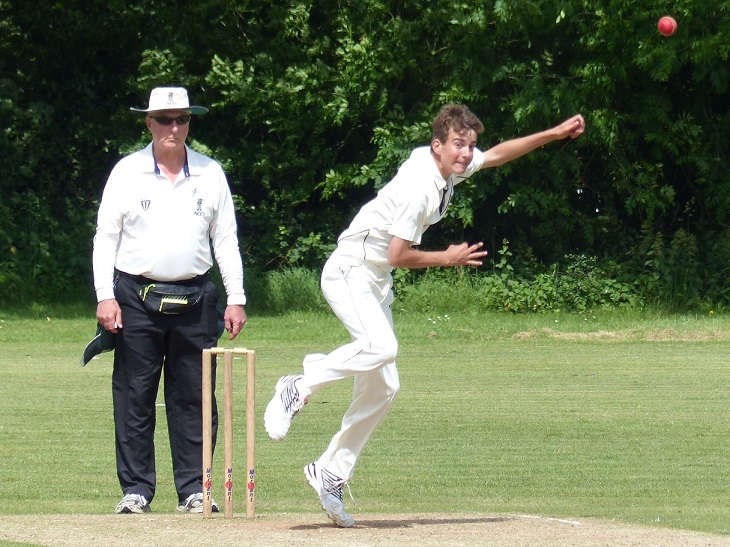 Sway crowned a year in which they�ve been promoted to their highest ever league with an excellent away win against a relegation-threatened Sarisbury team that bolstered its line-up with four Southern Premier League first-teamers. Despite losing the toss Sway skipper Tim Noble was invited to bowl first on a green top and a below-strength Sway immediately made inroads, with Jon Waller (2-29), soon on a hat-trick after he induced an edge to wicketkeeper Tom Thorp and bowled first teamer Jornyeaux with a beauty first ball. Bristol-bound David Steadman (1-33) then found his line and length and accounted for another ones player, Josh Hill, the catch well judged by Oscar Marshall. While Sarisbury were struggling at 41-3, they were still dangerous as first team skipper Ricky Rawlins was at the crease � he notched his 50 when the home side were on 70. Just as noteworthy was the performance of Thorp behind the stumps, with two sharp stumpings and catches, while Marshall took another great grab in the outfield. In reply Sway�s opening partnership of Noble and Marshall made a decent enough start as the visitors reached 26 with no alarms. That was until Noble (20), having just hit a cracking boundary, was out handled ball and not long after Marshall (11) followed lbw. Dan Bailey and Will Millard made the most of the opportunity to bat, putting on 83 against an accurate attack on a difficult pitch. They were helped with a couple of big overs � during one Bailey smacked one massive six over square leg � and he went on to make a brilliant 53. As the game entered its final knockings Sway stodged their way towards the total until Steadman entered the fray, hitting two boundaries on his way to nine not out off seven balls, before Millard slog swept a boundary to win the game with eight balls to spare and end 48 not out. In the event, Sarisbury's relegation rivals Lock Heath suffered a surprise defeat at rock bottom New Milton which was enough to save Sarisbury so both sides came away from the game happy.